What does VOICE do when we aren’t running camps? Good question, right? We talk all about our camp programs, but given the fact that they only run biannually…what on earth do we do the rest of the year?! I can assure you, VOICE staff is not exactly sitting in Hyderabad, twiddling our thumbs and waiting for camp to start. We work around the clock doing all the dirty work necessary to keep a small non-profit with big dreams running strong. As a group of over-achieving, passionate, and proactive women, we each take on a huge number of tasks, but I want to highlight a few of the especially exciting things that have been happening in the office recently. 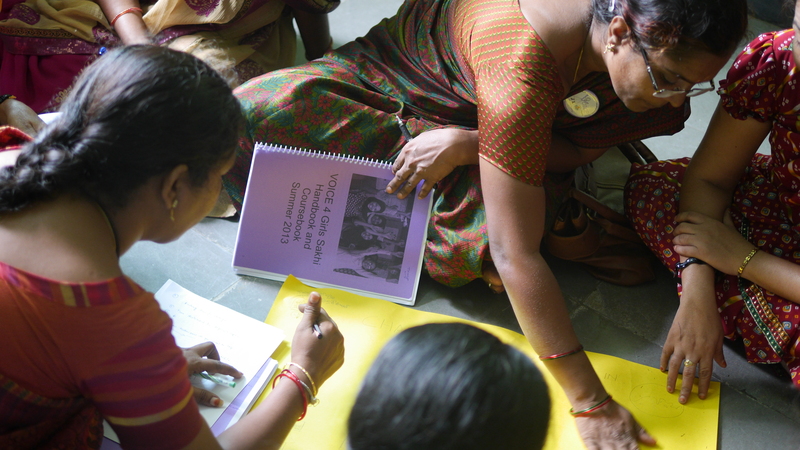 The past few weeks, former VOICE counselors have been training over 200 teachers from the Andhra Pradesh Social Welfare Residential Educational Institutions Society about VOICE philosophy and teaching methods. There are a couple objectives behind this training. First off: support for Sakhis. After attending our summer camps, a select number of exceptional campers are chosen to be Sakhis (which means “girl friend” in Hindi), who then go back to their APWREIS schools to act as peer leaders for other girls. We have found that while these Sakhis have been well-trained by us to deliver VOICE curriculum to other girls throughout the year, they have gotten little support from their female teachers, who are not familiar with the Sakhi program in great detail. By familiarizing teachers with VOICE curriculum and philosophy, we hope they can now act as effective supports for the Sakhis in their schools. This is particularly important because as adolescent girls, there is a limit to the amount of support they can provide their fellow students, and so with certain concerns a girl may have, teacher intervention is necessary. Secondly, we are hoping that if these teachers are familiar with VOICE methods of teaching, they will be more effective teachers to all their students. In training, we explain techniques such as activity-based learning, effective communication, teacher-student relationships, and classroom management, as well as easy ways they might implement these techniques in their classrooms. VOICE believes that encouraging students to think for themselves and promoting a fun, healthy, and safe learning environment is the first step in building girls’ confidence and keeping them excited about school. With our training, we’re hoping these APSWREIS teachers can go on to do just that. Our last training session is happening this weekend, so check back next week for a video piece on the program and its success. Teach for India (TFI) is a non-profit organization that recruits recent college graduates from India as fellows to teach full-time in low-income schools in India. 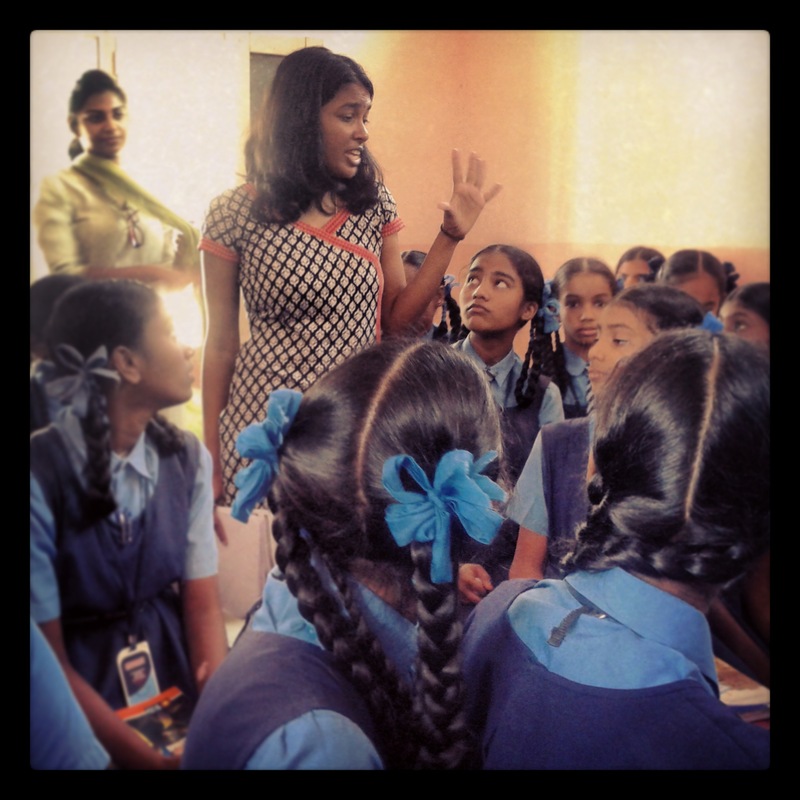 VOICE has teamed up with TFI to pilot our curriculum in schools around Hyderabad. After undergoing some initial training from us, fellows will go into their classrooms and teach their students, both boys and girls, select chapters from the VOICE curriculum. Topics we are piloting include menstruation, career/future planning, female heroes, safety, and conflict management. These pilot sessions serve as a test for VOICE: how easily can our curriculum be taught? How well do the kids understand and absorb the information being taught to them? Is the material taught in a fun, engaging manner? We can get a better sense of the answers to these questions and the ways in which we can improve upon our curriculum when we see it in action. We work year-round to perfect our curriculum, yet only witness its implementation twice a year, making these pilot sessions a huge help for us. Plus, TFI works with a similar demographic and has a similar learning philosophy as we do, so their fellows are the ideal candidates to pilot our curriculum. We know these pilots will give us some great feedback that we can move forward our curriculum forward with, and we hope to have a close relationship with TFI in the future. We’re FINALLY getting a makeover! We’re excited to announce that we are in the midst of creating a new logo and website, to be launched within the month. Our new look will reflect the powerful, fun, innovative work we do at VOICE, and give a clearer insight into our mission. Check back for updates on the launch, and continue to follow us for exciting videos, photos, news, and more.